#StPetersburg. #Porcelain. #RussianPorcelain. #ImperialPorcelain. #PorcelainPaintings. #masterclass. Imperial Porcelain Manufactory of St. Petersburg. Russian Imperial Porcelain. What to see in St Petersburg Russia. Things to see in St Petersburg Russia. 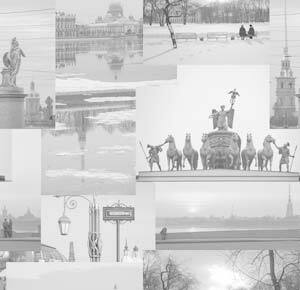 See our guided tours in St. Petersburg Russia. 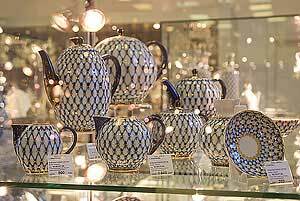 If you are looking for something to take home from St. Petersburg, which is authentic, locally made, world famous and at the same time functional – then no doubts it's porcelain. Even today the majority of diplomatic gifts from our city are porcelain pieces or sets produced at the St. Petersburg Imperial Porcelain Manufactory. You can find the production of our manufactory in the most famous museums of the world – the Hermitage, the British Museum in London, the Metropolitan museum in New York and in private collections of kings, presidents and world famous stars. Imperial Porcelain Manufactory of St. Petersburg was established in 1744 and was the first porcelain manufactory in Russia and the third in Europe. It provided elaborate porcelain sets and decorations for the Russian Imperial family. Some of these items are still on display in our museums. During the Soviet time the manufactory continued to work very successfully but under a different name – the Lomonosov Porcelain Manufactory. After "perestroika" the world famous original name was returned to the enterprise which at the moment is a unique factory in Russia producing premium class product in its own personal style which is highly appreciated all around the world. During this tour the guide of the factory will tell you about the history of the manufactory, you will visit several departments of art porcelain, where you will see the best masters of the factory at work. At the end of the tour you will visit the Gallery of Modern Porcelain and a factory shop where you will have a chance to buy unique Russian porcelain. The duration of the tour is about an hour. We also highly recommend including a master class of porcelain painting into the tour. You will have an absolutely unique possibility to decorate several porcelain pieces yourself. After baking* you will be able to take them back home. You will not only get absolutely unusual souvenirs, but also the brightest, the most pleasant and the most unusual memories of your trip to Russia. The duration of the master class is about 1.5 hour and the number of items which will be provided for you to decorate is unlimited. * The process of baking will take approximately two days, after which we will pick your pieces from the factory and deliver them to your hotel. In case you have left Russia by that time it is also possible to order the pieces to be shipped to your home.